For the individuals who want to incorporate vitamin C into their daily health regimens, or who want to effectively use vitamin C to help treat diseases or toxin exposures – along with the rest of their medicines and supplements – it is important to have a good understanding of the different types of vitamin C that are available, along with how one type compares to another. Become an educated consumer. Such individuals can then get the most out of their vitamin C therapy, as well as get the best value for the money invested. As well, it is important to know when multiple forms of vitamin C should be taken together to ramp up the clinical (healing) response. Although not a completely inclusive list, the most important factors to address when taking vitamin C are dose, frequency, and duration of the treatment period. Take enough of it, often enough, and for a long enough period of time, or just risk wasting your time, money, and energy. Even though any amount of vitamin C will still be a positive intervention, don't delude yourself into thinking that a lack of fabulous results with small amounts means you're a "non-responder." All diseases feature increased oxidative stress in one place or another, and supplying your body with a ongoing supply of fresh vitamin C and other antioxidants is the only direct way to counter this stress. 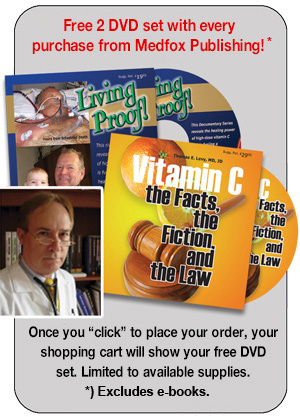 Although it can sometimes seem like it, the ability of vitamin C to bring back infected and/or toxic patients from death's doorstep and out of comas isn't magic. Molecule for molecule, you need enough vitamin C to supply enough electrons to reduce targets of toxic excess oxidation. If the immune system is old and compromised, larger amounts of vitamin C can be needed to do the job, while a healthier immune system might need less help to get on top of things. The most important corollary to taking a large enough dose is taking it often enough. The important impact of vitamin C on the immune system was discussed in my earlier article – "Vitamin C is the 'muscle' of the immune system." Remember that very many infections, toxin exposures, and even chronic diseases can and have been very effectively managed by taking only one type of vitamin C, usually sodium ascorbate or ascorbic acid, and dosing it steadily in multi-gram doses throughout the day. Liposome-encapsulated vitamin C and intravenous vitamin C are wonderful and highly effective, but don't feel you are out of luck if you do not have sufficient money or access to use these types of vitamin C.
However, many acute infections and many chronic degenerative diseases can require 50, 100 or even many more grams of regular vitamin C daily to get the results you want. Lypo-C and IVC can get you where you want to go much more quickly and effectively. In most significant chronic diseases, multiple areas of the body have increased oxidative stress and decreased stores of vitamin C and other antioxidants. Since the goal of vitamin C therapy is to neutralize as much oxidative stress and damage as possible, taking as many different types of vitamin C as possible can give the positive clinical results not seen with one, or even two types of vitamin C.
1. The liposomes put vitamin C inside (intracellular) the diseased cells and the circulating immune cells without the consumption of energy. 2. The oral sodium ascorbate continues to saturate the extracellular areas with vitamin C while neutralizing the toxic products of poor digestion, shared by everyone to a greater or lesser degree. 3. The ascorbyl palmitate gets the normally water-soluble vitamin C into fat-soluble areas. 4. The intravenous vitamin C gets temporarily astronomical blood concentrations of vitamin C throughout the body. What is the difference between lypo-C and IVC? Circulating on the internet and on multiple health blogs is the idea that vitamin C properly encapsulated in liposomes is 5 to 10 times more potent than the same amount of vitamin C given intravenously. This concept originated with my personal observations when I first started evaluating the clinical effects of liposome-encapsulated vitamin C about 10 years ago. I had taken many IVC infusions between 50 and 100 grams in the past when I was ill, and I observed on more than one occasion that 5 grams of lypo C had clearly as good or even greater an impact on the acute symptoms of cold or flu than 50 grams of vitamin C given intravenously. This confused me greatly until I finally decided it was time to learn something about liposomes and how they work. It appears that the arming of the immune cells with high concentrations of vitamin C along with the lack of energy consumption in getting an intracellular delivery of vitamin C are very big edges over larger intravenous infusions of unencapsulated vitamin C, at least for acute viral syndromes. Additional factors come into play, however, when treating chronic infections and chronic degenerative diseases, like Lyme, cancer, and coronary heart disease. While I feel that access to quality lypo-C is the best option if only one option is available, I strongly recommend motivated individuals take as many types of vitamin C that they can if they are not getting satisfactory results with just one form. However, as is reflected on the multi-C protocol, using both lypo-C orally and vitamin C intravenously, along with regular vitamin C and ascorbyl palmitate, can have what appears to be a synergistic effect over just upping the dose of one form to as high as possible for as long as possible. Always remember vitamin C, regardless of the diagnosis. Except for diseases of the kidney where doses must be scaled down, vitamin C in all its types and at the highest of doses can offer you an enormously useful way to avoid the hospital and the chronic ingestion of a host of prescription drugs. Never forget, however, that you ultimately have to take responsibility for your own health. No matter what the medical/scientific assertion or the recommended therapy, you can find a seemingly well-qualified "expert" who says it is worthless while another expert says it is the greatest thing since sliced bread. However, there can only be one scientific truth, and you have to be the one to decide who to believe and who to dismiss. Be a partner with your doctor in deciding what you should do and what you should take. Good luck in your continued quest for optimal health.